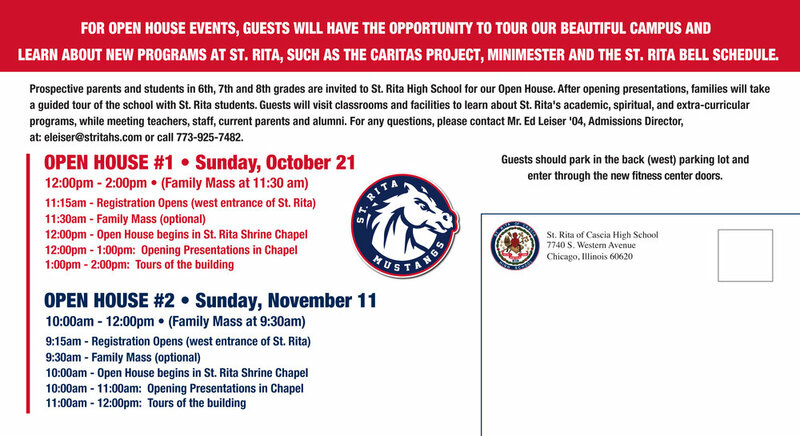 Join us for our final Open House of the year, to see everything at St. Rita, from academics and sports, to clubs and facilities. Meet students, teachers, parents and staff members! No RSVP needed to attend. Join us for Family Mass at 9:30 am before the 10:00 am start.